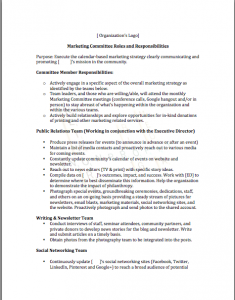 We have the pleasure of working with many organization’s communications staff and volunteers. No matter how big or small there is a common thread: you live or die by the effectiveness of your communications team. Well, that seems like a pretty bold statement doesn’t it? Of course there are other areas you feel you live and die by: development and fundraising tend to come to mind. However, neither of those areas are successful without a slam-dunk communications strategy. Think about it, every single sentence that is written, every solicitation, every mailer is (should be) a communication with your donor/partnerships/community. To succeed more wholly in all other areas you need to shore up your communications strategy and make sure your team is on board. Success comes when all your team members: board members, volunteers, staff learn to work outside of their silos and see where all the parts overlap. All roads lead back to communication! How have you found success with your communications team? We’d love to hear.